Earn you 11999 reward points. 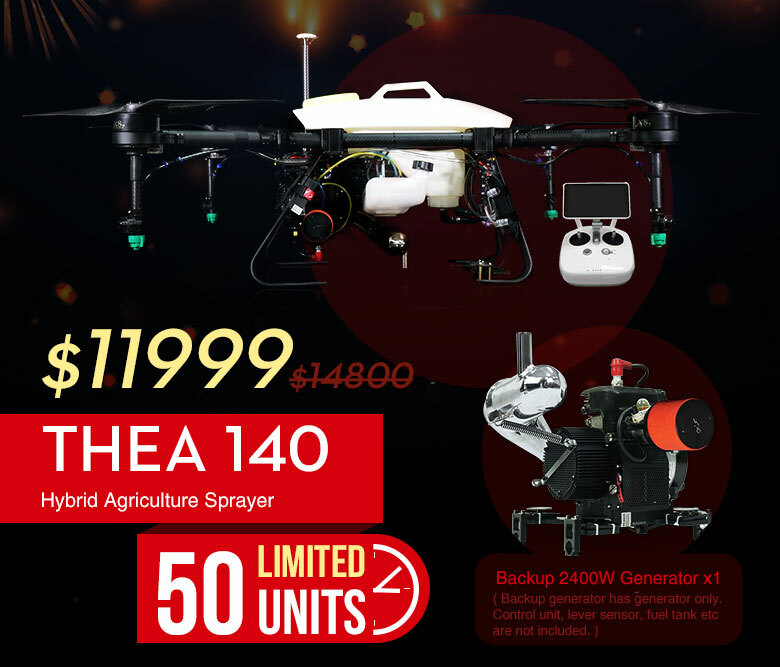 THEA 140 is a hybrid agriculture spraying drone designed for agricultural applications in variety of environments and terrains, including fields, crops, forests and orchards. 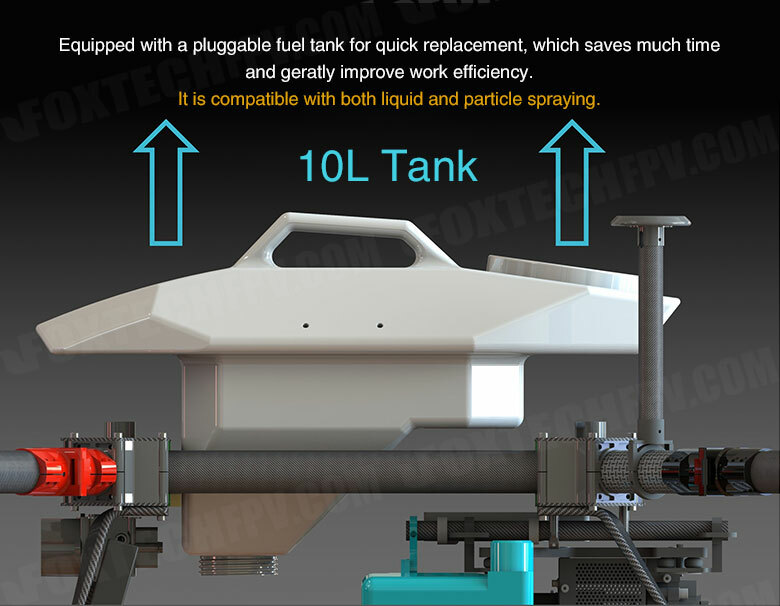 THEA 140 features dust-proof, rain-proof(IP43 protection rating, IEC standard 60529) and is made of anti-corrosive materials. The foldable design of THEA 140 frame also can save more space. 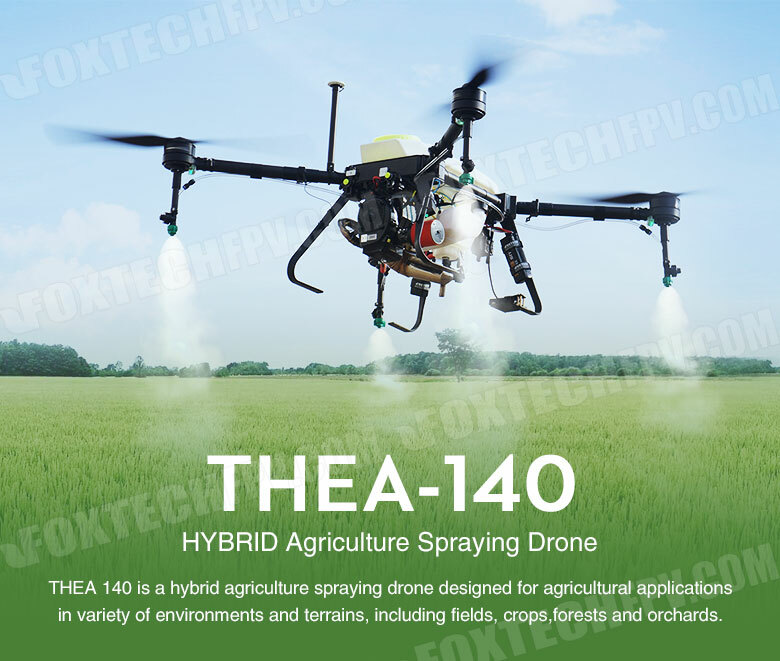 The THEA 140 agriculture solution adopts N3-AG 2.0 flight controller and radar sensing system, combined with the new spraying system and intelligent operation planning system, agricultural plant protection efficiency is significantly improved. All these additions make plant protection more accurate and efficient. 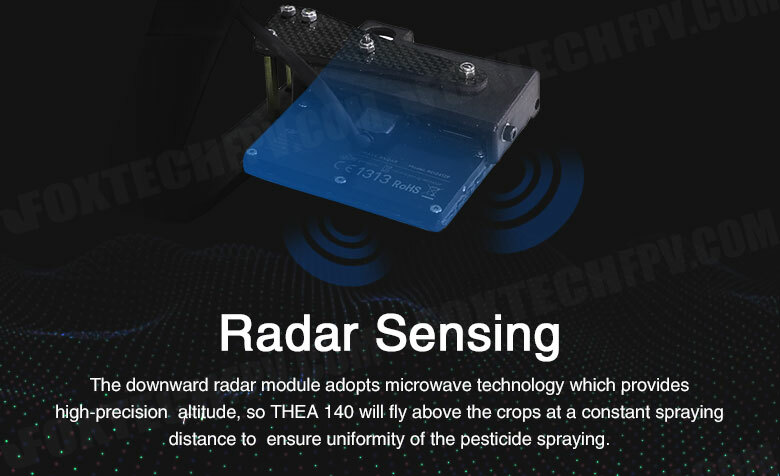 The downward radar module adopts microwave technology which provides high-precision altitude, so THEA 140 will fly above the crops at a constant spraying distance to ensure uniformity of the pesticide spraying. 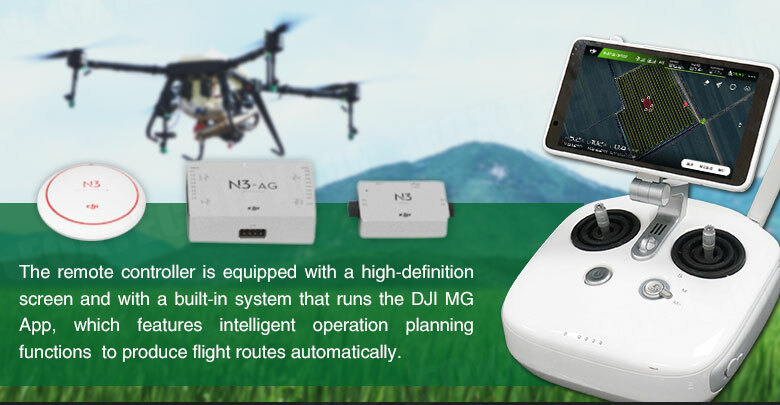 The remote controller is equipped with a high-definition screen and with a built-in Android system that runs the DJI MG App. 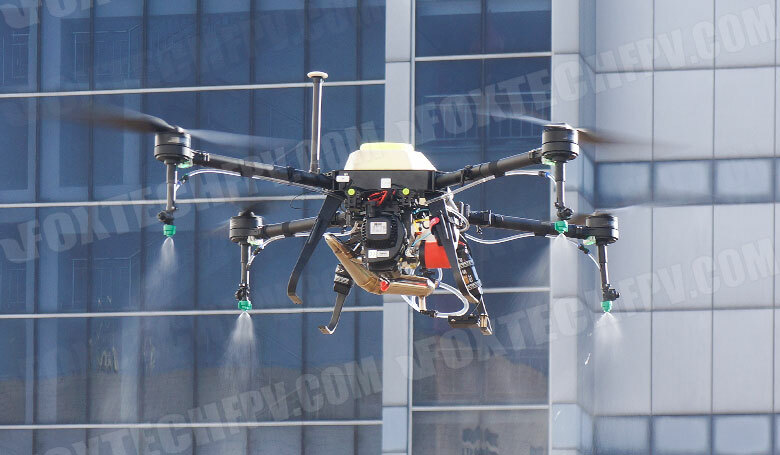 The app features intelligent operation planning functions to produce flight routes automatically, according to marked operation areas, along with the new added coordinated turn option and new spraying system, the flight and operation will be more flexible and efficient. 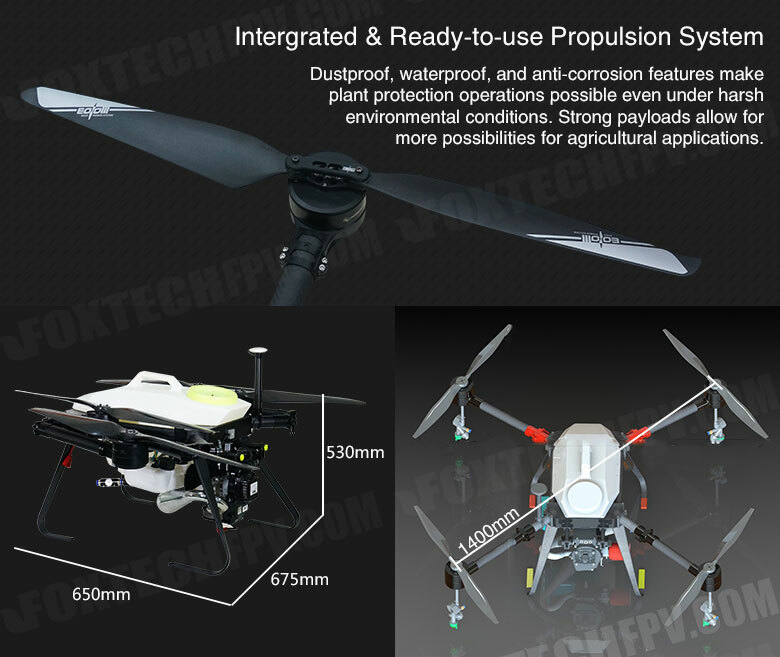 Compared with other battery-powered drones, which need to change batteries frequently in just one task, the hybrid agriculture drone avoids the charging trouble and battery scrapped problem. 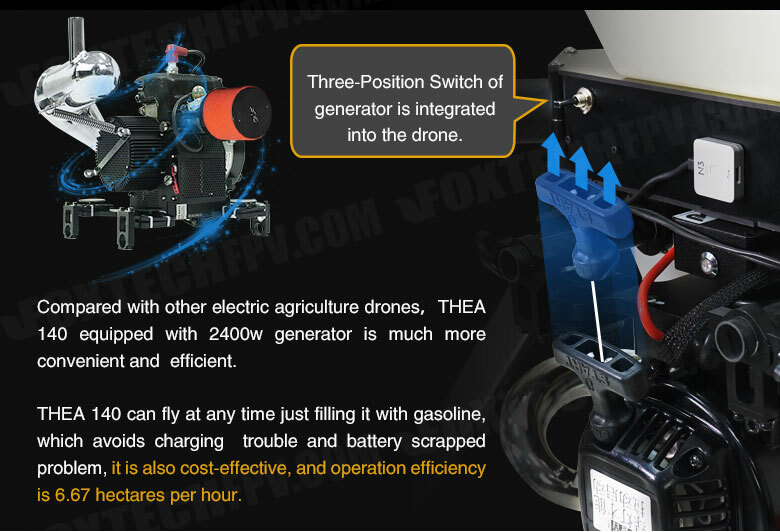 THEA 140 hybrid agriculture drone equipped with one 2400w generator and 10L pesticide tank, which is more effectively for industrial farming. 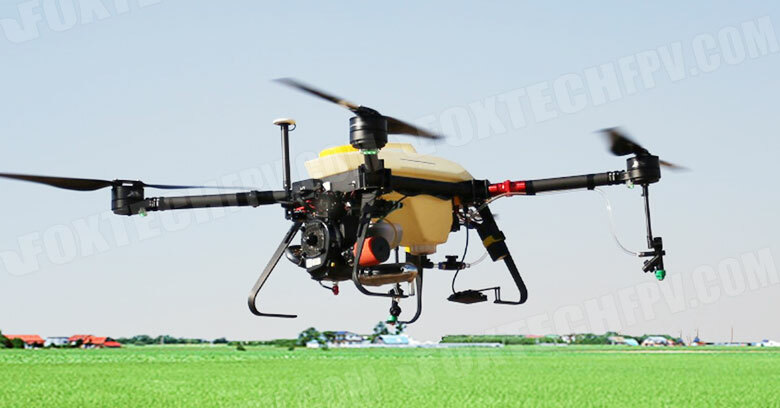 The operation efficiency of THEA 140 is 6.67 hectares per hour, only 1.22 dollars per hectare.THEA 140 is a cost-effective agriculture spraying drone, just need to maintain the generator after 75 hours working to keep its high performance, and the maintenance cost is also lower.